Pakistan, New Zealand and Ireland from Group B have been knocked out of the tournament. The league stage of the Women’s World T20 are coming towards a close. The two games that were played on the seventh day sealed the fate of Group B. India and Australia have progressed through to the semi-finals with three clinical victories which has left New Zealand, ranked second in the ICC T20I rankings, with no option but to go home. After being put into bat first by the opposition, the Indian innings was steered by opener Mithali Raj. She took her time out there in the middle and crawled to 51 off 56 deliveries while the other batsmen tried to go aggressive. Smriti Mandhana scored 33 off 29 balls as India raced to 145/6 in 20 overs. Shillington and Isobel Joyce, just like in the previous games got off to good starts. However, when they needed to accelerate, they failed to do so. As a result, all that Ireland managed was 93 runs for the loss of 8 wickets in 20 overs. Radha Yadav picked up three wickets. 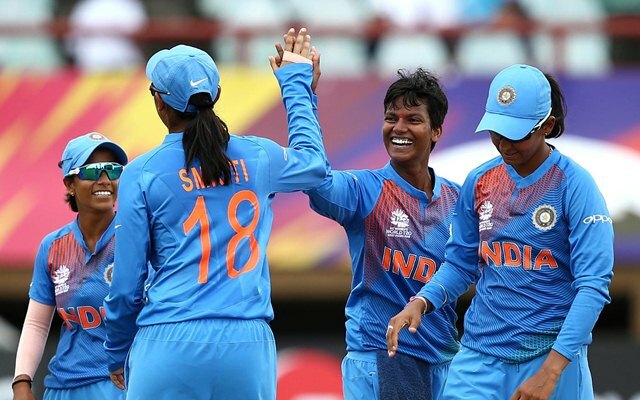 Result: India Women won by 52 runs. Pakistan Women won the toss and the Blackcaps were put into bat first in the 14th match of the Women’s World T20. Devine and Suzie Bates added 59 runs for the opening wicket. While the latter scored 32, her partner scored 35. Skipper Satterthwaite with 26 runs and Katey Martin with 29 runs played handy innings as the side ended with 144 runs on the board. Pakistan and the problems with their batting in the tournament are a well-known fact. Hence, skipper Javeria Khan decided to take the onus upon herself and opened the innings. She played an aggressive innings and hence 31 runs were added in the first three overs. However, she began to lose partners at the other end. Khan was dismissed after she accelerated her way to 36 off 23 balls and wickets kept tumbling since then. The side was ultimately bowled out for 90 runs. Result: New Zealand Women won by 54 runs.